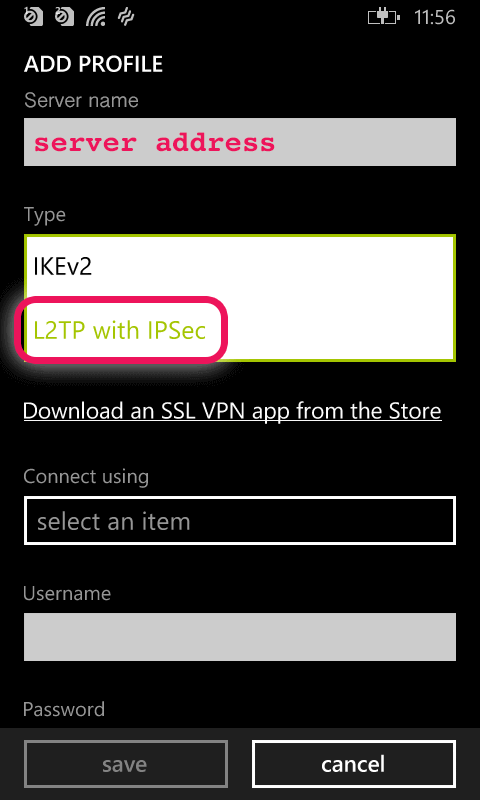 This tutorial guide will walk you through the steps to set up a VPN on your Windows Phone 8.1 using the L2TP protocol. 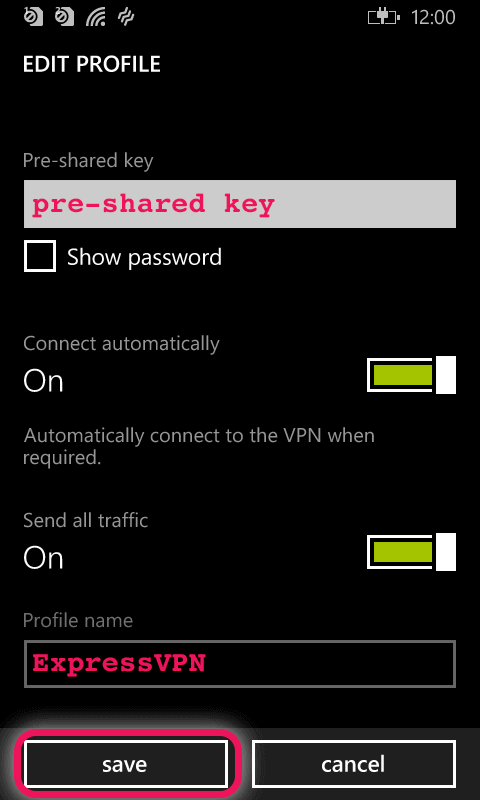 To add a new VPN profile, we will go into your phone’s settings. 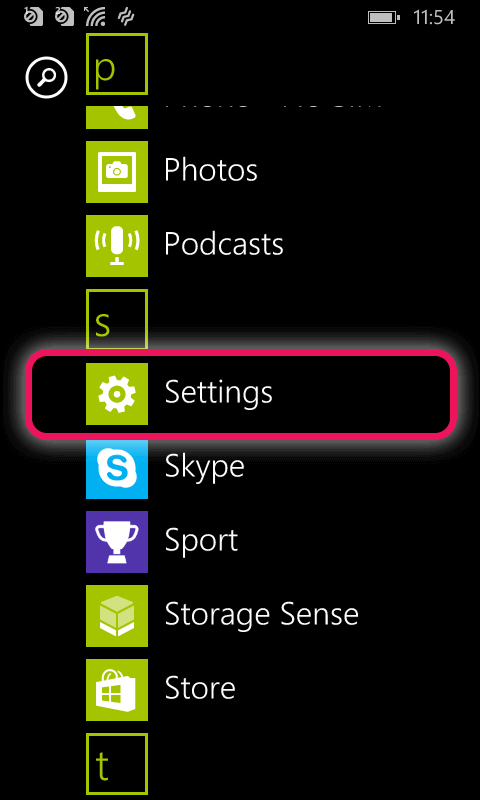 Swipe left on the main home screen with the live tiles to access the App list. Swipe down and tap Settings. In the Settings menu, swipe down to find VPN. Tap on it. 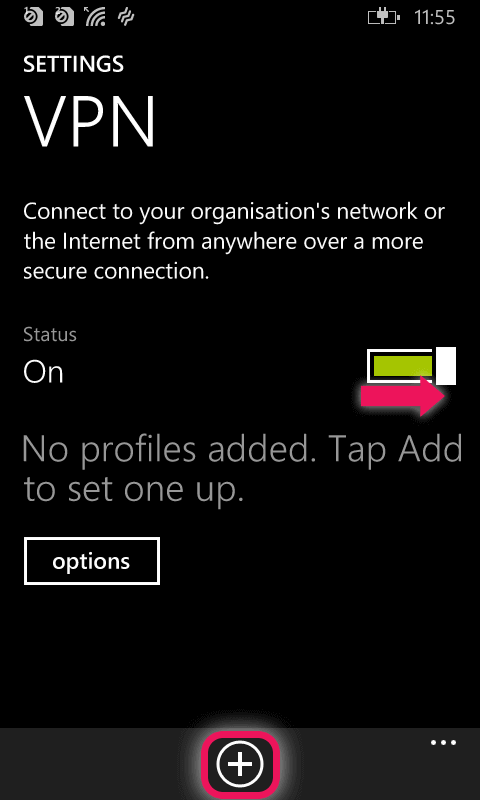 In the VPN Settings menu, set the status to On, then tap the “+” sign at the bottom of the screen to add a VPN profile. 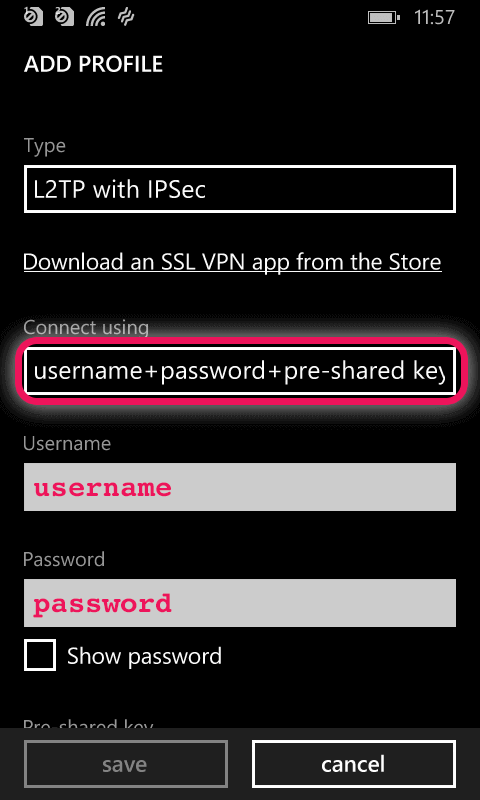 To add a profile, you will need your server address, username and password, and IPsec pre-shared key from earlier. Enter the server address of your choice. 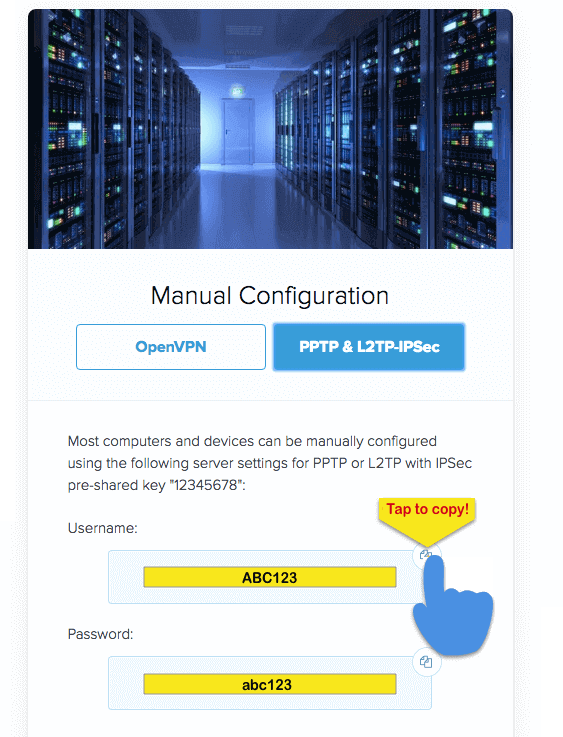 For Type, select L2TP with IPsec. Swipe down. Connect using: username+password+preshared key. Swipe down. Enter your pre-shared key. 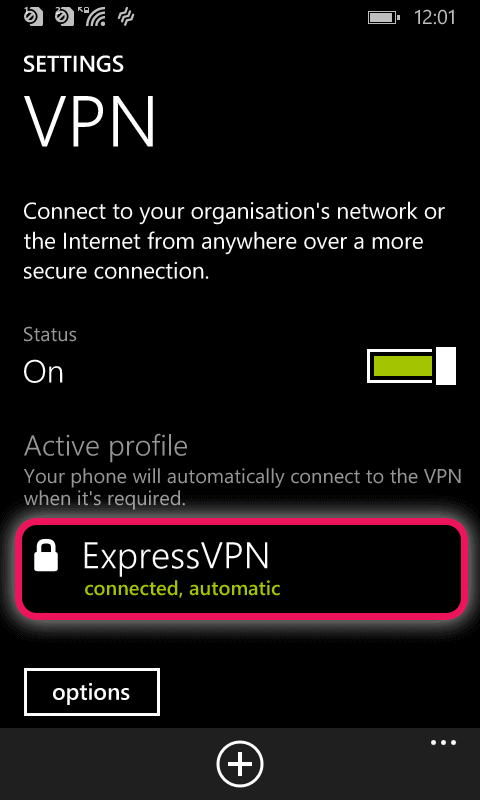 Give your profile a name such as ExpressVPN. Make sure “Connect automatically” and “Send all traffic” are both On. Then tap save. In the VPN menu, you will now see that your VPN connection has been added. Tap the name of the VPN profile to activate the VPN connection. Great! You can now access the Internet privately and securely! 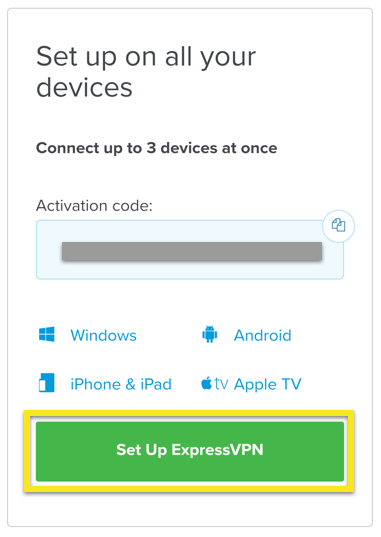 To disconnect from ExpressVPN, tap the name of the VPN profile.